New STM32Snippets from STMicroelectronics provides highly optimized and ready-to-use register-level morsels of code to maximize the performance and efficiency of STM32 microcontroller applications. Programming at the register level can reduce memory footprint, save precious processor cycles, and lower supply current, but usually demands intensive and time-consuming study of the device manuals. STM32Snippets now provides a faster route to creating sleek and efficient programs that boost application performance and help meet power and cost targets. STM32Snippets joins the recently announced STM32Cube™ software tool and embedded software that simplifies initialization and porting. With these, developers can choose between the highly portable approach of STM32Cube™ and the highly optimized implementation of STM32Snippets. This combination is a market-unique development ecosystem that keeps the STM32 as the first-choice microcontroller of creative embedded designers. 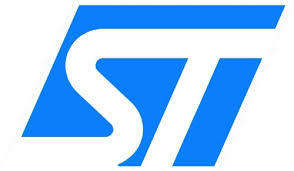 ST is to publish STM32Snippets for all STM32 microcontroller variants and has initially released almost 100 code snippets covering the complete STM32 F0 peripheral set except the USB controller. The snippets can be downloaded immediately, free of charge, and are ready to be used with the STM32F072B-DISCO Discovery board and IAR EWARM or Keil MDK-ARM development environments. In addition, some snippets will be directly integrated into STM32 F0 reference manuals, thus providing a “by-sample” approach to understand better how the MCUs are running.